November is an odd month for movies. It’s a mix of big-budget blockbusters and small indie “Oscar bait” movies. From massive super hero team-ups to quiet murder mysteries, let’s take a look at the movies coming to theaters in November 2017. First up, Thor: Ragnarok. The third installment of the Thor series hits theaters early November. This is the first movie directed by New Zealand’s Taika Waititi, and it tells the story of the Norse version of the apocalypse, or Ragnarok. 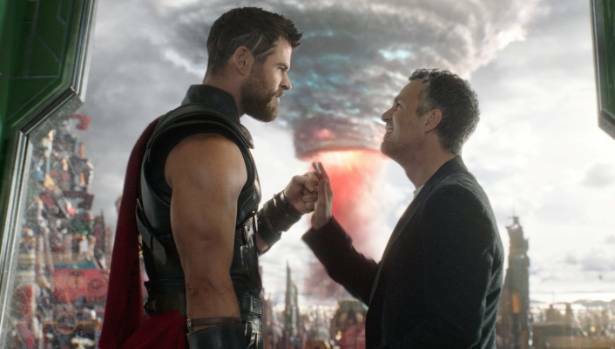 Both Chris Hemsworth and Tom Hiddleston are back as Thor and Loki respectively, with Cate Blanchett and Mark Ruffalo joining the ensemble cast as Hela and Bruce Banner / The Hulk. This film looks like a light- hearted and fun action film, with stellar visuals to back it up. Also coming to the big screen on Nov. 3 is A Bad Moms Christmas. This is the sequel to the 2016 surprise hit Bad Moms, starring Kristen Bell and Mila Kunis. If this sequel is anything like the original, expect a raunchy, yet hilarious, look at Christmas that should keep you laughing from start to finish. Next up is Murder on the Orient Express. This Kenneth Branagh mystery is an adaptation of the Agatha Christie novel. It’s a crime thriller about one man’s race to solve a murder on a train before the murderer strikes again. This film is the definition of an ensemble cast, with performances from the following: Johnny Depp, Michelle Pfeiffer, Penelope Cruz, Kenneth Branagh, Judi Dench, Daisy Ridley, Willem Dafoe and Josh Gad. This is bound to be one of the most stylish and well-made mysteries in years. Also on Nov. 10, the Will Ferrell and Mark Wahlberg comedy Daddy’s Home 2 hits theaters. A sequel to the semi-underwhelming original, this movie has two new additions —Mel Gibson and Jon Lithgow. Hopefully, these new characters will bring life into this franchise. I have high hopes for Mel Gibson’s performance, and I feel like they can get a lot of bang for their buck with the addition of Gibson — but only time will tell. If you enjoyed the original, I believe the sequel will be just as funny, but hopefully to a slightly more elevated level. The highly anticipated DC comics movie Justice League hits theaters on Nov. 17. This is the first DC movie to be released since the smash hit of summer 2017, Wonder Woman. This team-up movie tries to recapture the same magic for DC that the original Avengers movie did for the Marvel cinematic universe. Directors Zack Snyder and Joss Whedon come together with stars Ben Affleck as Batman, Gal Gadot as Wonder Woman, Jason Momoa as Aquaman and Ezra Miller as the Flash. Most of the DC movies released have been underwhelming, but hopefully the upward trend of Wonder Woman helps this franchise. Hitting the box office on November 24, is Coco, the newest film from Disney Pixar. 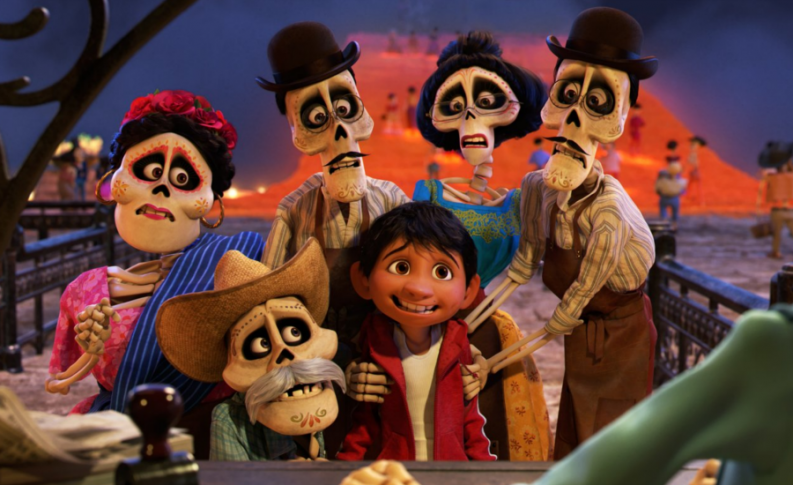 The movie is a colorful look at Mexican culture, especially around Dia de los Muertos – the day of the dead. It follows an aspiring musician as he teams up with a charming trickster on an adventure through the Land of the Dead. With voice work from Edward James Olmos, Benjamin Bratt, Alanna Ubach and Gael Garcia Bernal, this animated film looks to be a colorful adventure. If it's anything like Pixar’s other work, this is definitely a film to check out. 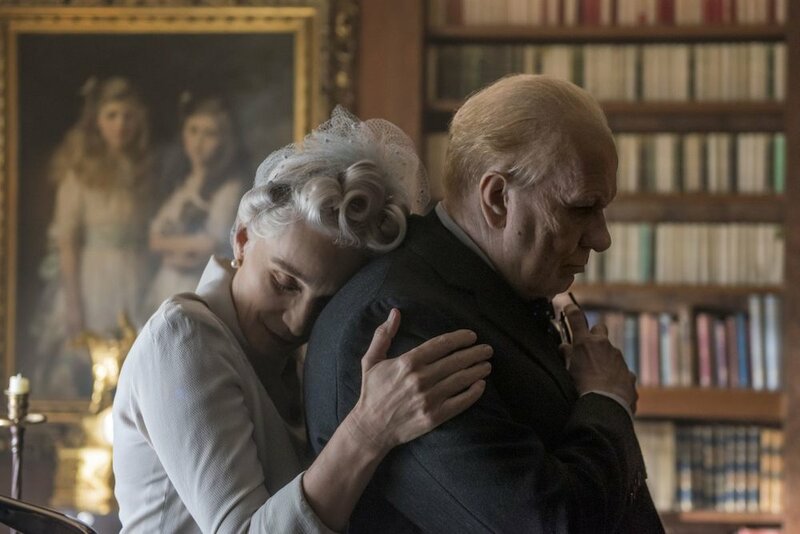 Also on Nov. 24, the biopic The Darkest Hour lands in theaters. This movie stars Gary Oldman as the newly appointed British Prime Minister Winston Churchill during the early days of World War II. The movie appears to be a faithful look into a stressful time in British history. The rest of the cast is rounded out by Lily James, Ben Mendelsohn and Kristin Scott Thomas. I’m hoping this film won't lean too much toward “Oscar bait," but instead is a dramatic character piece on one of the most influential people in history. Oldman is a terrific actor, so look for him to deliver a tremendous performance, as he always seems to do. The movies coming out this November seem to offer something for everyone, whether you’re interested in laugh-out-loud comedies, captivating dramas or action-packed thrill rides. I for one know that I will be at the theater almost every single weekend this month.